Looking for some creative travel ideas to put your balance of Chase Ultimate Rewards points to good use? This week our Cards for Travel team took on a challenge to plan an ultimate 5-day Ultimate Rewards tour of Seoul, South Korea. Here’s how we did it and how you can do it to! Christian and Annabelle have been using their Southwest Companion Pass since May 2016, and calculate that they’ve already racked up almost $4,000 in free flights with much more travel to come. Learn how they earned their pass, how they’re maxing out its value and what tips they have for you to get yours. It’s true. There are an increasing number of high-end cards out there with great travel benefits like the Chase Sapphire Reserve Card, The Business Platinum® Card from American Express OPEN , the Citi Prestige Card, the Citi AAdvantage Executive World Elite MasterCard, and the United Mileage Plus Club Card. You may have heard of the benefits of getting extra points by “adding an authorized user” to your credit card account—but what does that mean, what do you need to know to do it wisely, and how does it actually help you maximize your points balances? One of the many reasons we love the Ink Plus Business Card from Chase is its 5x category spending bonus on office supplies. Here’s how you can max out this category bonus by exploring the shelves in your local office supply store. IF you’re managed to rack up a bank full of Delta SkyMiles thanks to earning on your co-branded Delta credit cards from American Express, we’re ready to help you put those points to work for great rewards. Here are 5 adventures to get the most out of your Delta miles. There’s a new airline transfer partner in the Chase Ultimate Rewards program. 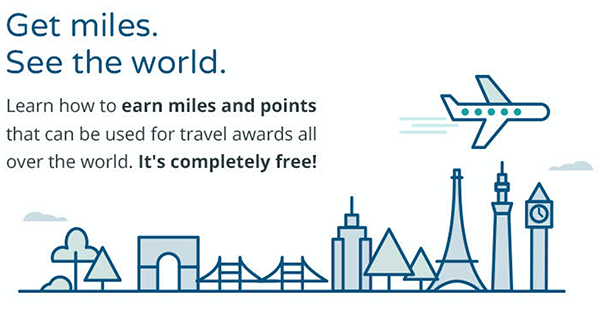 You can now transfer Ultimate Rewards points to Flying Blue for travel on KLM or Air France. What can you do with 60,000 Ultimate Rewards Points? This flexible rewards currency is very easy to use and can get you anywhere on your travel bucket list. Here’s 3 ways you can put your Ultimate Rewards points to work for you. Airline and credit card points and miles have the power to fly you around the globe, but what if your vacation dreams this summer are closer to home? Which points are the best for domestic travel, and which cards you should be spending on to earn them? Many travelers focus on using airline miles and flexible reward points, and often struggle to understand the value of hotel points as part of their travel strategy. If you’re in that group, you might be missing a big opportunity.